Open fractures are injuries to the bone that occur when a broken bone is exposed from the body to the surroundings. Open fractures, sometimes called compound fractures, can occur when there is a small cut to the skin that communicates to a fracture, or they can occur with severe soft-tissue injuries that threaten the survival of the limb. In an effort to make sense of these injuries, they are generally classified according to their severity. The most common system to classify open fractures is according to the Gustilo-Anderson classification system. A grade I open fracture occurs when there is a skin wound that communicates with the fracture measuring less than one centimeter. Sometimes it is difficult to assess if a fracture is open (meaning the wound connects to the broken bone), but this can be determined by injecting fluid into the fracture site, and seeing if the fluid exits from the wound. Grade II fractures have larger soft-tissue injuries, measuring more than one centimeter. Grade IIIA: 3A fractures are those injuries that include high-energy fractures as evidenced by severe bone injury (segmental or highly comminuted fractures) and/or large, often contaminated, soft-tissue wounds. Most surgeons classify high-energy fractures as 3A even if the skin wound is not large. Grade IIIB: 3B fractures have significant soft-tissue damage/loss such that bone is exposed, and reconstruction may require a soft-tissue transfer (flap) to be performed in order to cover the wound. Grade IIIC: 3C fractures specifically require vascular intervention as the fracture is associated with vascular injury to the extremity. The Gustilo-Anderson classification system is most useful to give two pieces of information: what is the likelihood of developing an infection, and how long will fracture healing take to occur. As the grade goes up, the infection rate rises dramatically, and the time for fracture healing lengthens. Grade I open fracture injuries of the tibia have less than a 2% infection rate (with proper treatment) and take an average of about 4-5 months for healing. Grade IIIB and IIIC fractures have up to a 50% infection rate and take an average of 8-9 months for bone healing. The Gustilo-Anderson classification was first published in the 1970s and has undergone several modifications. The essence of the classification system is to provide categories of injuries based on their severity. From this information, fractures can be categorized for research purposes, and information can be applied to new injuries based on the research that has been done. 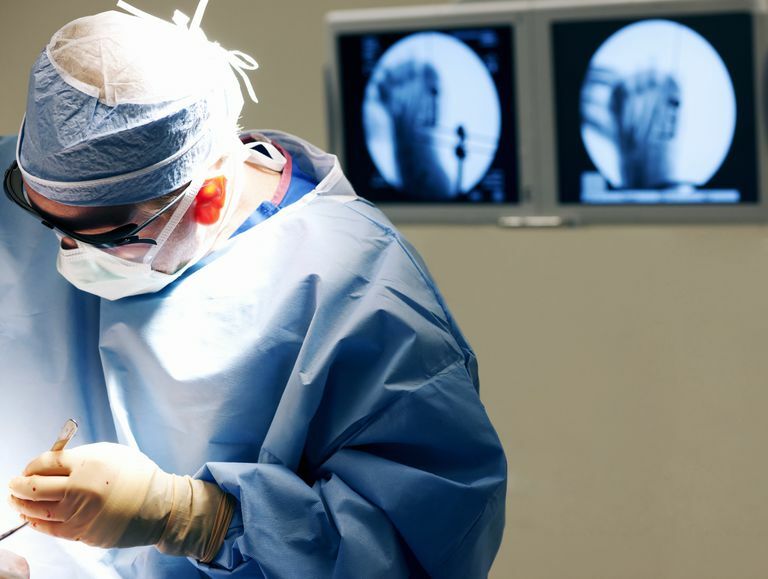 Doctors Often Don't Agree: Studies have shown that orthopedic surgeons, who know this classification system well, only agree on the fracture grade about 60% of the time. Therefore, what one surgeon considers a grade I fracture, may be called a grade IIIA by another. This makes comparing data a challenge. Not Designed for All Open Fractures: While most doctors refer to this classification system to describe any open fracture, it was first designed to describe open tibia fractures, and subsequently, open long-bone fractures. That is not to say it can't be used to describe other injuries, but that is not how this classification system was studied. For patients who sustain an open fracture, the key to a successful outcome is urgent treatment. The treatment of an open fracture requires urgent exploration and cleaning of the wound, appropriate antibiotic treatment, and stabilization of the fracture. Zalavras CG and Patzakis MJ. "Open Fractures: Evaluation and Management" J Am Acad Orthop Surg May/June 2003; 11:212-219.